Dr. Hirubhai Muljibhai Patel , known affectionately as ‘H M ‘ was born on August 27 1904. He completed his secondary education at St. Xavier’s High school in Mumbai. He went to England for further studies when he was 15. He studied Philosophy, Politics and Economics; earning a B.A. degree from Oxford University. Simultaneously, he achieved a B.Com from London University as an external student, having passed all competitive examinations of ICS with high grades. On returning to India, he first served as assistant collector in Larkhana District, Sindh, in 1927. Then he joined the Finance Department in Mumbai as Deputy Secretary. From 1937 to 1939 he worked as Trade Commissioner of India for Northern Europe in Hamburg, moving onto England to hold the same post; until returning to India in 1940. He was appointed as Deputy Secretary and Deputy Director General in the Supply Department. He then worked as Cabinet Secretary until October 1947. He was Defence Secretary from 1947 to 1953. He served as the Secretary of Food and Agriculture for one year and then as Secretary in Department of Economic affairs and finally as Principal Finance Secretary. He was closely associated with Sardar Vallabhbhai Patel during 1946 to 1950. In 1977 when the Janata party formed government, he served as the Finance Minister. He became Home Secretary in 1979, but was relieved from his duties following the resignation of the Janata Party government. He was awarded internationally prestigious Albert Schwaltzer Medal for his activities in the conservation of natural resources and animal welfare. He was given the Nargis Dutt award posthumously for making the celebrated film “ Sardar” in 1993. HM Patel was the president of the Charotar Vidya Mandal which runs a number of educational institutions in Vallabh Vidyanagar. He was also the president of Saxti Sahityavardhak Karyalaya and of the Indian Board for Wildlife. The founder of the Charotar Argoya Mandal, Shri H. M. Patel has established Pramukh Swami Medical College and Shri Krishna Hospital in Karamsad. 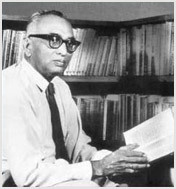 Shree H.M. Patel knew English, Marathi, Sindhi, Persian, Hindi, German and French quite well and was very fond of reading. He died on 30th November 1993. 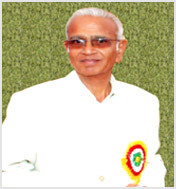 The past students of V. N. High school of Dharmaj fondly remembers one name and that is of Principal R. K. Patel sahib. The eldest son of Shri R. K Patel Sahib Satyavratbhai alias Satubhai was born on 1st Sept 1931 at Valsad. Originally a true Dharmajian, Satubhai had the quality of modesty, fearlessness and was brave enough never to compromise on any issue at the cost of character and all these traits came to him in heredity. After getting his L.L.M.degree in 1955 from Bombay Universities, he joined the Law department of M. S. University of Baroda as a professor. Here he rendered his services until his untimely death on 15th February 1981. He authored 16 books over a life span of 49 years. His books written on various topics are still very popular. One of his book named “The Soul of India” depicting the great culture of India and contribution of India towards the world is considered to be his best work. His books on law are internationally recognised and taught in Law Schools and Colleges even today. Born on 13th November 1943 Dr. Amritaben Patel earned her Veterinary Science & Animal Husbandry degree in 1965 with Honors from the Bombay University. Then she got advanced training in Animal Nutrition in England from 1966 to 1968. She was associated with Amul as nutrition officer from 1965 to 1971. Later she joined the National Dairy Development Board. After serving different departments with great efficiency she finally presided as the chairman of NDDB on 27th November 1998. Presently she is actively associated with various institutions as its chairman. She is contributing considerably towards the field of environment, education and health. She is serving as the Director of the Reserve Bank of India. She is also a Trustee of prestigious trust of TATA family. She has earned various awards like the Padma Bhashan, Charotar Ratna, Indira Gandhi Award for Environment and many more. She is also awarded with Dharmaj Ratna in 2007. A multifaceted daughter of Dharmaj has inherited the great qualities of her father Shri H. M. Patel. She is also doing great work in field of Social service. Shree Arvindbhai was born on 5th September 1947. He completed his graduation from The M. S. University at Baroda following which he took up employment at a bank in Baroda itself; but gradually shifted to his hometown Dharmaj. He engaged himself in the business of Tobacco production. He was actively involved in the business but also dedicated himself for social causes. From 1992 he completely devoted himself to Virakatashram and Jalaram Janseva Trust. With total social dedication and active participation he started various activities and excelling in them all. He was influenced by Shree Satyanarayan Goenka’s “Vipasyaana”. Shree Arvindkaka had cordial relations with Shree Indukaka “Ipcowala” and so they were instrumental in setting up “The Vipasyaana Centre” at Dharmaj. He was totally engrossed in his devotion towards Vipasyaana upto his death. He used to set up monthly camps for Vipasyaana. He personally took care of the functioning of all the hospital, education units, the eye hospital and Vipasyaana centre. 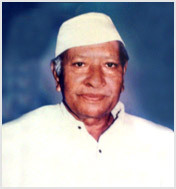 Shree Arvindkaka was the basic founder of innumerable institutions - Jalaram Eye Hospital, Indubhai Ipcowala Santram Medical Complex, Prabhuleela Sadhana Dham, Ipcowala Santram Meditation Hall, Prabhuleela Physiotherapy Centre, Mahila Gruh Udyog (Small scale unit),The Sharda Maternity Home (Set up by the help from NRI’s from London) Urmilla Polio Hospital, Pushpadeep Children Hospital (Neonatal Care Department). The sudden death of Shree Arvindkaka has left everyone with a great sense of loss and deprivation. He believed in simple living and high thinking. He was very humble. He used to take care successfully of all institutions but humbly used to report that “This was going to happen, I am just the stepping stone”. He would always be in the background and would never crave for fame. Dharmaj Society of London has donated money for providing pure water ‘Reverse Osmosis (“R.O.”) Technology in water purification’ so that filtered water could reach households of Dharmaj at subsidised rates. This donation amounted to Rs. 35 lakhs. At such a crucial time, his sudden death has caused a vacuum but following his words we believed “Show Must Go On” and proceeded with the water purification project. The real homage to this great leader will be by following his footsteps of love, dedication and sacrifice. Dr. Rasikbhai Patel was born on 15th October 1930 at Nairobi, Africa. He migrated from Africa to India in the year 1933. He completed his matriculation in 1948 from the V N High School, Dharmaj. In the year 1950 he passed ‘Inter’ and shifted to Jamnagar Ayurvedic College where he secured the ‘DASF’ Degree in the year 1956. In the same year, He joined as a Doctor in “Gujarat Netra Rahat Mandal “at Bochasan, with a meagre Salary of Rs. 150 /- per month. He worked in this institution for 10 Long Years. During these years he came in contact with Shree Ravishankar Maharaj, his son Dr. Panditji Shree Babalbhai Mehta. He was deeply influenced by their carefree life as they were Bachelors but they had laid down for themselves. He was deeply moved by the work of Dr. Doshikaka for the eye patients. He travelled to different places like Madhi, South Gujarat, Dahod, Jameshedpur at Bihar and other areas serving people. 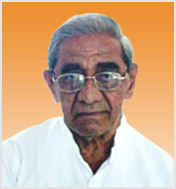 In 1956, he joined “Sadvichar Samiti” at Nadiad. During the said period ‘The Seat of Honour ‘at Santram Temple was occupied by Shree Jankidas Maharaj shri, Due to the constant efforts of Pujya Jankidas Maharaj Shree, an eye Hospital was started at Chaklashi in one of its ‘Dharamshala’, This hospital was working under the experienced hands of Dr. Shree Ramanbhai, but he could visit the hospital only once a week, So for the rest of the days Dr. Rasikbhai Patel took charge. During the same period, Nadiad Ayurvedic College offered a special condensed course through which Dr. Rasikbhai transferred DASF degree to LMP (Allopathy). He joined 1 ½ Years course of M. B. B. S at Ahmedabad but after successful completion of one year, he suffered from cataract and could not give final examination. He could not become ophthalmologist which he dreamt of. Due to religious upbringing and positive bent of mind he did not lose heart but continued his purposeful activities at Nadiad. During that time “Sant Shree Jankidas“ faced some eye disease and this propelled Rasikbhai to pioneer an eye hospital in Nadiad which would be fruitful to the people.This Eye hospital took a final shape in the year 1971, and by 1972 a permanent Doctor was appointed. Years passed by, Dr. Rasikbhai was at the threshold of entering fifty one years of age and just prior to this event he seeked blessings and guidance from ‘Pujya Saint Shree Narayandasji’ to guide him through his future endeavors. The saint presented the guidance in the from of a shlok emphasising the need of the hour to accumulate enough wealth which would be sufficient to for old age requirement, but excessive craving for wealth does not give true bliss and happiness. These enlightening words of Swamiji gave way to the establishment of a private clinic at Nadiad. He purchased a flat and a car. He completed 51 grand years of success and dedication but his attraction towards money and wealth did not decrease. But God had decided a new course of action for this learned man. All of a sudden his father residing at Dharmaj became ill and so he decided to shift to Dharmaj. In the year 1983 he came back of Dharmaj and served his parents with utmost dedication. He also acquired the blessings of “Shree Akhandanand Sagarji Maharaj” and went on pilgrimage with him to South India. He also visited “Char Dham” with “Pujya Shri Ramdasji Maharaj”. The next three to four years were full of religious acquaintances which enhanced his knowledge and experiences. “Pujya Shri Ramdasji Maharaj shree“ blessed him to start an eye hospital at “Viraktashram“ which is at Dharmaj Station Road. He also benedicted him to start activities of ‘service’ and ‘help’ to others, The three trustees of Jalaram Mandir and trustees of Viraktashram decided to form a new trust. Here we would also like to mention about the effects of Shree Bachukaka who was the immediate President of Jalaram Mandir Trust. Due to his constant effects and perseverance, his zeal and activeness a new trust “ Jalaram Janseva Trust “ was formed by the year 1988 Dr. Rasikbhai started Eye-Checkup and by December 1989 Eye-Operations were performed. Kanubhai Rabari and Neelaben Dalwadi agreed to become Compounder and Nurse. The neighbouring owner of land Shree Kantikaka was quite impressed by the operations done and as a gesture of love and sacrifice he decided to donate his land to the Eye-Hospital and also permitted for construction prior to accomplishment of documentation procedure. In the year 1992 the hospital was ready. Eye-Checkups and operations were done free of cost and food and shelter were provided free.The spiritual enlightenment is carried out here through ‘Vipasyana‘ which taps the inner doors of our soul. Yearly 10 to 12 seminars are organized on this discipline. To provide employment opportunities to the women folk cottage industries have been developed. Physiotherapy has also started here. A step further was taken in by providing facilities to children who are mentally challenged, lame, blind, dumb, deaf etc. They are looked after here and their enrollment has increased to 2000 students. They are provided all facilities in the form of books, compass box, uniform etc. free of cost. The whole unit of the trust combines all facilities of medicine, physiotherapy, ENT surgery & Check-up, Eye-Checkups, Skin Specialist etc. at one place. This helps the public as they don’t have to commute to other areas for basic medical treatments. The Government Hospital at Dharmaj did not have Doctors to cater to the needs of pregnant ladies who had to go to Nadiad or Petlad at odd hours at the time of emergency. This problem was solved by “Dharmaj Society of London “in the year 2004, as “Sharda Maternity Hospital“ has been set up with latest facilities. The Gynaecologists are appointed to provide best services to the needy at low cost. There is yet another feather in the cap through the establishment of “Orthopaedic Hospital” in the year 2004. This hospital is also well equipped. There are latest equipments to carry out bone operations ‘Orthopaedic Surgeons ‘come on weekdays from Monday to Friday and give free facilities to patients. With the Sharda Maternity Hospital we are also starting the Neonental Section and necessities would be available thereof. For that purpose M/s Sandhyaben, Daughter of Shree Rameshbhai Revabhai Patel (of Dus Gharas) as well as her husband Shree Dr. Sanjivanbhai is taking keen interest. This whole project would be estimated to be worth Rs. 50 Lakhs and all the necessary activities are being finished. Shree Jashbhai Patel is addressed with love and respect as “Bapu” by one and all. He is the pioneer in establishing the “Jawahar Cricket Club” in 1937, this was his first step towards social service and village development. Through various sporting activities like football, table tennis, cricket and much more he tried to organise the youth into healthy teams and instilled co-operation in them. This also supported and developed youth power. It is surprising to know that he himself was skilfully playing cricket until the age of 65 yrs. Shree Bapu is an active ardent leader on the cricket ground but very simple caring loving at the home ground. He stepped into the industrial field in the year 1967 through Tobacco, pioneering in establishing 100% export oriented units of Tobacco. He played a crucial role in “Go char” development plan – Fodder scheme. It was his dream accentuated through the setting up of an English Medium School. It was the excellent duo of Shree Jashbhai Bapu and Shree Chimankaka that brought about a remarkable change in the village of Dharmaj. A great figure respected and recognised throughout the village. He constantly thinks about the progress and development of the village. Late, Shree Chimanbhai K. Patel was fondly addressed as ‘kaka’ by near and dear. He was a graduate from the science faculty. His excellent organisational ability was depicted when he was elected as the ‘sarpanch’ (Village head) of Dharmaj village for a period from 1968 to 1982. He also served as a director of The Dharmaj Peoples Bank from 1969 to 1986. He also had to his credit a lions share in the ‘Gochar’ scheme food for cattle programme. Under the chairmanship of respected Shree H. M. Patel Sahib, he excelled in various spheres. He served for Dharmaj Co-operative & Consumers Stores and also Dharmaj Seva Sahakari Mandali.On the religious front he was the trustee of Shree Matharanathji Vaishnav Temple. 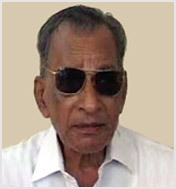 He was the Secretary of Dharmaj Kelavni Mandal from 1966 to 1986. It is during his leadership that The H. M. Patel English Medium School Complex was established. Shree Chimankaka adored simplicity with traditional attire. His name brings before our eyes the true profile of a social worker, someone with high ideals and calm attitude. With his excellent organisational skills he could easily solve problems. His work will always speak louder than words. These profiles of some of Dharmaj personalities have been put together by some Trustees, people from Dharmaj, research articles and other members of DHASOL. Any mis-statements or omissions are not deliberate. Indubhai Maganbhai Patel or affectionately know as “Indukaka” latterly known for his generosity towards establishing better educational establishments and other fields of knowledge; was a visionary business man and entrepreneur. Indukaka was born on 7 September 1928 in Dharmaj. He did his schooling at V. N High School in Dharmaj. In his earlier years, whilst the majority of his fellow students studied the Arts, he pursued a career in Pharmacy ; graduating in B.Pharm from L M College of Pharmacy – Ahmedabad ; the first such college in Gujarat. Perhaps his most famous venture is the establishment of the ‘creamy stuff’ - a better form of “snuff “ ( nicotine extract) having developed a special formula for the paste; thus “IPCO” was born! Ipco stands for Indubhai Patel & co. Indubhai patel founder of creamy snuff felt the need for developing a product which is less harmful than tobacco. 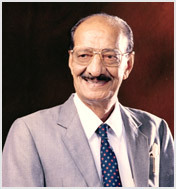 He started ASHA INDUSTRIES on 13th October 1958. He introduced Ipco Creamy snuff which is less harmful then chewing tobacco without losing taste of tobacco. And several years later Shree Santram Gruh Udyog evolved, presenting Ipco Snuff to be used as a dentifrice in a slightly modified version. The two companies together worked with more concerted efforts towards confirming our Corporate mission. Indukaka was awarded the Charotar Ratna award on 8 July 2006 for his services to charitable causes. He had been instrumental in the establishment of a number of educational institutions, public halls, libraries, medical complexes, temples, providing educational professional and medical help to both institutions and people in general. He had established “the Ipcowala trust”; well associated with the activities of social nature in Anand and Kheda districts as well as Vadodara , Ahmedabad and Saurashtra. He has donated money for every good cause that had come to his notice; giving away money to charity without even keeping records! Indukaka called all his employees as IPCO Parivar. He used to share profit with his employees, helped evry employee to build his/her own house, helped each of them to educate their children and also helped in marrying their children. Initially Indukaka kept 20% for charity and at the end of life the ratio reversed to 80% for charity and 20% for personal use. The sad demise of Pujya Indukaka in July 2007, has resulted in loosing a great human being, a visionary businessman and a pious saint.